We’re pretty sure that those lucky enough to attend SDCC this year will be treated to all sorts of sneak-peeks of upcoming awesomeness, but this one caught the attention of BCP’s plastic brick-loving members. Lego are set to reveal the first set that will tie in to 2016’s Batman vs Superman: Dawn of Justice at this year’s con, and this preview image is pretty awesome. Holy printed legs at last, Batman! 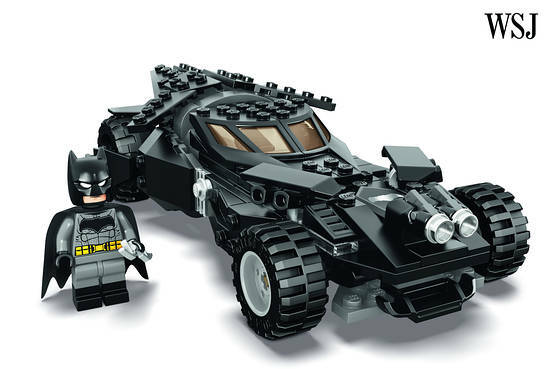 The full set will weigh in at 306 pieces, will include another two minifigures in addition to the Batman fig pictured above, as well as a second vehicle, although with a $29.99 price tag, don’t expect anything too exciting (we hope we’re wrong though!). The set will be available from January 1st, 2016. That means if you’re in the US, you might get lucky and see it on store shelves before Christmas.